White label promo copy with a deep groove. Record has a couple of surface scuffs should play with little to no noise. Cover has 3 inch split on bottom seam at open end and promo stamp on back cover. 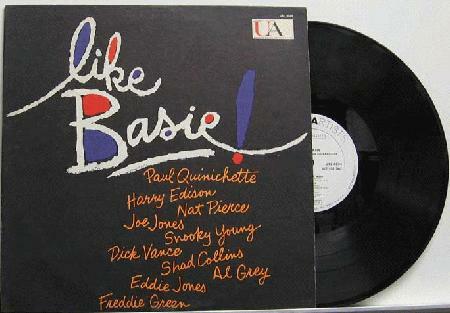 Tunes-Jump the Blues Away, Jump for Me, Like Basie, The Holy Main, Big D, P.Q.